I was having a chat with a friend at a party when Peter Temple came up as a must read author recommendation. I’m rather naive when it comes to new and established authors, I don’t seem to have the inside scoop on Aussie writers the way I do with overseas talent. 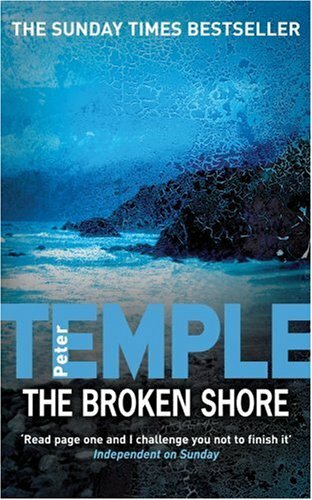 It wasn’t long afterwards that Peter Temple was mentioned again at the Perth Writers’ Festival. So I bought two of his books, Truth (ebook version) and The Broken Shore. Now the recommendations for Peter Temple came from literary people, people whose recommendations I try to avoid like trips to Canberra and prison showers. But these recommendations carried weight, as one of them was a Lee Child and Michael Connelly fan. I can see why Peter is an award winning novelist, but I can also see why he is highly regarded amongst authors – like I said, naive. This is a crime novel, but not quite like most crime novels. I’d put Peter in the same category as James Lee Burke, Ian Rankin and Michael Connelly, except his work is more literary. Also, it is sad that Peter isn’t as internationally recognised as those authors I have likened him to. This book was equal to any of those authors. So read Peter and make sure his work hits the international market, where it belongs.